Most of us are lucky to live and even work in the comfort of central heating and cooling. Having quality cool air flowing during the peak summer temps is a must in Arkansas and southern Missouri. However, everyone knows that with technology and machines there will come a time that it needs to be repaired or replaced. Your air conditioning is no different. Don’t take chances with your health and well being. 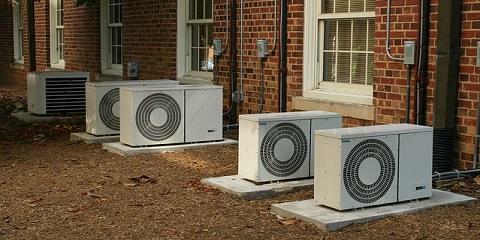 Check out these 3 signs that it is time to REPLACE your HVAC unit. Have you ever checked your electric bill and thought to yourself, “This has to be wrong!”? You’re not alone. During the extreme temperature times of the year, many people open their electric bill only to find themselves in sticker shock. 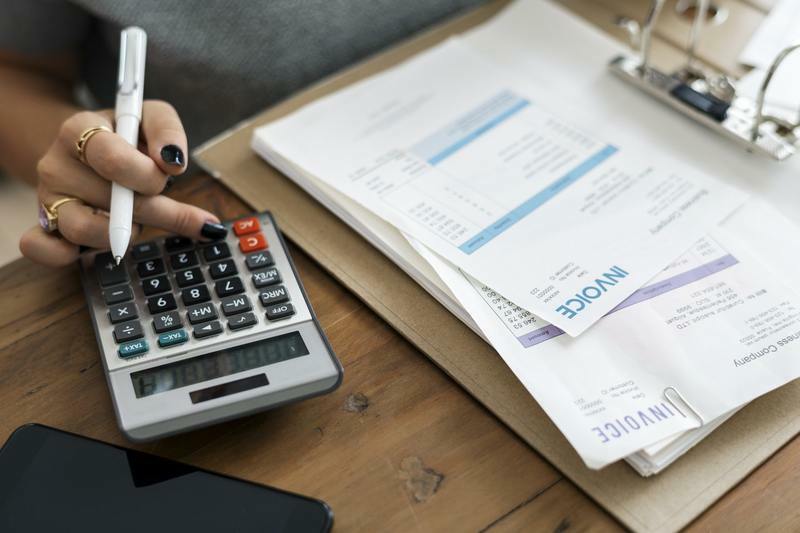 However, what many people don’t realize is that the high priced bill could be the result of your home heating and cooling unit not working properly. At Montgomery Heating & Aire, we carry top brand units, such as Trane and Mitsubishi, that not only keep you comfortable but can also help to reduce your high-cost energy bills. When you choose to replace your unit with a newer model, you get a powerful machine that is able to do the job but also requires less energy in order to do so. Replacing your unit may seem expensive at first. However, the new energy-efficient unit could save you money in the long run. Like a car or truck, HVAC units require maintenance in order to keep running smoothly. And also like vehicles, there comes a time when you may need more than routine maintenance to keep your HVAC unit operating correctly. If your unit requires repairs every few years, then you can probably keep going. 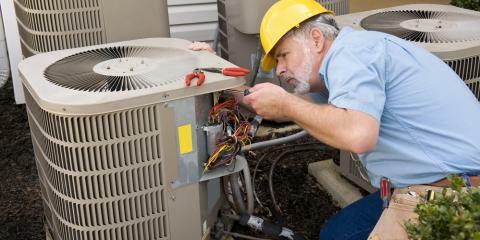 However, if you start to notice multiple repairs each season, then it may be time to look into investing in a new unit. At Montgomery Heating & Aire, we also provide outstanding maintenance and repair service. Not only can we replace your unit with a newer and more energy efficient model, but our highly trained technicians will also work with you to create a maintenance schedule to keep your heating and cooling system in the best shape. And when you sign an annual maintenance or service agreement, you get priority service and a 15% preferred customer discount on repairs including parts and labor. If your home or business HVAC unit is more than 10 years old, then it may be time for an upgrade. After so many years, you may begin to notice that your home or business isn’t as comfortable as it used to be. That’s because your unit may have issues with keeping up with the demand. You may also notice that the heating and cooling unit never shuts off, but the temperature of the room is still not where it should be. Working overtime can put stress on your unit and eventually something will break. You see, over time your unit becomes less efficient. Older units also have built up bacteria, dust, and dirt that can pollute the inside of your home and create issues with humidity. Not only will a new heating and cooling unit save you money on your monthly electric bills, but it can also help create a more comfortable living space. If you think that it is time to replace your heating and cooling unit, Montgomery Heating & Aire is here to walk you through the process. From selecting a unit that is large enough to heat and cool your home or business to providing quality maintenance, we have everything you need to keep your space comfortable. We are a Trane Comfort Specialist Dealer and can help you find the perfect Trane HVAC unit for your space. At Montgomery Heating & Aire, we also know that every space is different. That is why we also offer Mitsubishi Zoned Comfort Solutions. These ductless heating and cooling units are great for small spaces, new renovations to a home, and even new homes in order to allow each family member to have customized temperature control in each room. Have questions? We understand that choosing a new unit can be a little stressful, but it doesn’t have to be with Montgomery Heating & Aire. Give us a call today at our main office at (870) 435-1501 or visit us at one of our locations in Mountain Home or Harrison, Arkansas.